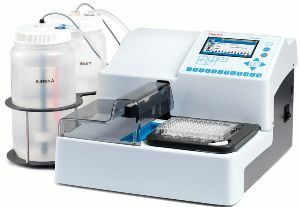 Thermo Scientific Wellwash is an easy-to-use microplate strip washer for routine ELISA applications. Thermo Scientific Wellwash offers ease of use and convenience through a graphical user interface, local language versions and the USB port. It is designed for reliable and secure washing of 96 well plates.